As a regional leader in the electrical construction and maintenance industry, Hanlon Electric is committed to being a leader in safety. Hanlon exercises constant vigilance to achieve job site safety for the protection of our workers and clients. We maintain a Commonwealth of Pennsylvania Department of Labor & Industry Certified Workplace Safety Committee. The Safety Committee monitors safety in the workplace, reviews job site safety issues, tracks injury occurrences and conducts safety training. 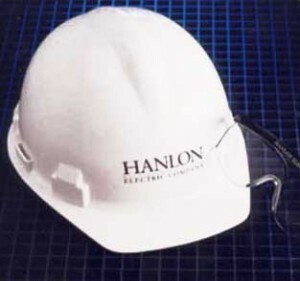 Our Manager of Construction is the Hanlon Electric safety officer. He oversees all job site activities and ensures compliance with safety policies. He has attended numerous OSHA courses and is a certified OSHA trainer. All of our project managers and many of our foremen have completed the 30-hour OSHA Safety Training course. All of our field personnel participate in weekly job site safety meetings that are documented and tracked by our office. In addition, all foremen and journeymen receive regular instruction on safety awareness and have direct communication with Safety Committee members. All employees are encouraged to make suggestions to improve safety efforts and procedures.